Home » blocks » Two more blocks for a total of five! 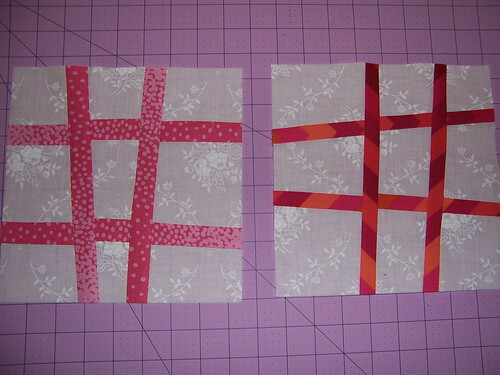 Two more blocks for a total of five! I saw that we only needed a few more blocks to have enough for extra winners this month so I did up two more, bringing my total to five. Is that Jane Sassaman's pink polka dots? I bought a FQ bundle from her of nothing but those dots in lots of color combinations. I loved those dots … and think I have used them all up. The stripe makes a great block, too. I've updated your blocks on the list. Our new total-so-far is 213. We are now fourteen blocks away from FIVE WINNERS!